I hope you all had a great start in the week. I am having some back ache since Saturday and although it got significantly better, it is definitely still no fun. It gets worse when I sit down so writing a blog post became a bit of a challenge. I usually get a few posts ready for the week but this week I might have to go a bit slower, please bare with me. Oh and yes I am writing this post while standing. Guerlain's Terracotta line is being extended by Bonne Mine (Healthy Glow) Powders to be combined with Joli Teint Beautifying Foundation which was released last year. Guardian describes it as two steps to get an healthy glow. 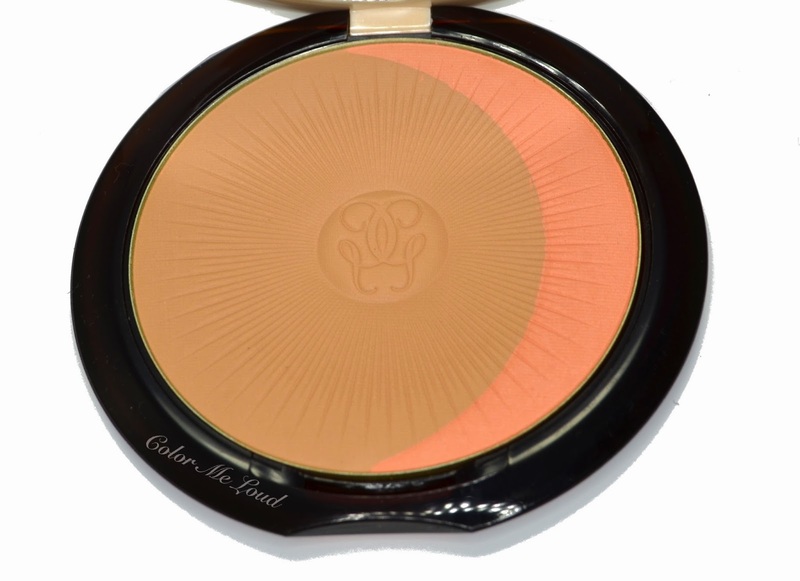 I personally don't go for deeper foundation shades all over my face and find it rather unnatural, so I tried new Guerlain Terracotta Joli Teint Healthy Glow Powder on its own to share my thoughts with you today. Although it is made of plastic, the packaging is sleek, looks very modern and really very chic. Although it has 10 g/0.35 OZ of product in it, it somehow manages to be thin and practical. It doesn't come in a pouch and doesn't have a brush for touch ups but I don't see it as a problem. I would rather get my own retractable brush and take it with me instead of using small brushes in the compacts which never work. 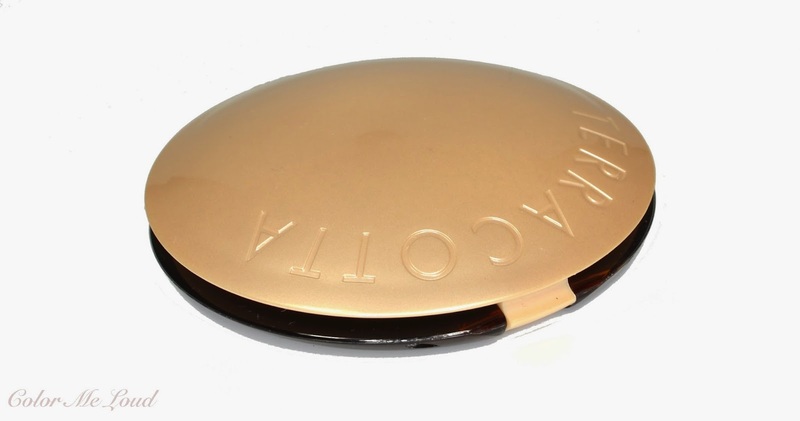 The compact has a click closure and it looks like it may open inside your purse if you don't place it properly, this is something to consider. Other than that thumbs up for packaging. There are four shades at the moment. You can see all of them swatched side by side at Mostly Sunny here. The names go like 00 Light Blondes, 01 Light Brunettes, 02 Natural Blondes and 03 Natural Brunettes. 00 and 02 which are denoted as blondes have a pink crescent while brunettes (01 and 03) have peachy/orangey parts. The one I have here is 03 Natural Brunettes and I have to say, although I would be classified as brunette in real life, I don't see how such a high end brand would produce such an orange turning powder. I really wonder which brunettes look so orange when tanned. Everything from compact to design and the pleasant perfume of the product is so lovely but when it comes to apply it, I am without words. 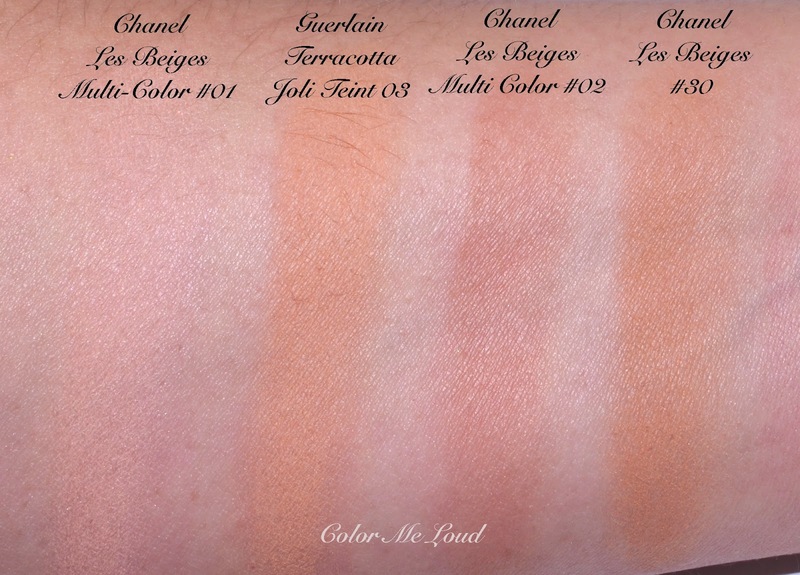 I would like to also give a comparison to Chanel Les Beiges below but before going into that I would like to show you some of the colors swatched side by side and you can see how orange Guerlain Terracotta Joli Teint Healthy Glow Powder in #03 Natural Brunettes turns on me. I have natural undertones and almost no bronzer turns orange on me but this one manages to do so. Big caution for those of you who would like to try this product, stay away from #03! Another point about the shade is that, even the deepest powder is rather light. You can see it against Chanel Les Beiges #30, which is the third lightest shade in the line and a great contour shade for my NC20 (even a little lighter) skin and the deepest Guerlain Terracotta is lighter than this one. I believe the fair ladies will enjoy this line more. I wished they would have offered something for medium to deeper skin tones as well. 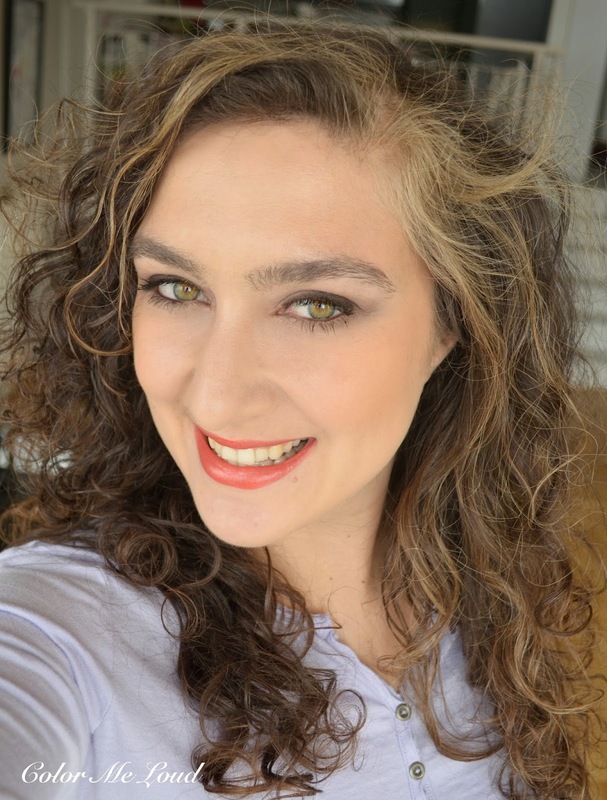 Here is me wearing Guerlain Terracotta Joli Teint Healthy Glow Powder #03 Natural Brunettes on my cheeks as a orange blush to go with the rest of the makeup which I tried hard to keep warm to be able to match the undertones of #03 Natural Brunettes. On my lips I have one of the Chanel Rouge Coco relaunch shades called Coco, review coming up soon. I will also post a review about the eye shadow palette I used in this look from By Terry if my back decides to behave. A few things to note down once these are compared to Chanel Les Beiges line. Les Beiges have a brush provided, which is not a big deal for me since I don't find those brushes working anyway. The amount of product and the price point is comparable. Les Beiges has SPF 15 whereas Guerlain Joli Teint Healthy Glow Powder doesn't have any. I think it is thought to be the second step after Joli Teint Foundation, which provides SPF 20. Les Beiges have more anti-aging ingredients and some natural oils. I don't see these in ingredient list of Terracotta Joli Teint Powder but it has hydrating ingredients such as sodium hyaluronate and glycerin, which is probably better for drier skin types. If I could use it all over (I don't dare, given the undertones) I could report about how much it moisturizes, although I didn't find Les Beiges any drying, even used as all over powder. Both of them have fragrance. Les Beiges have shades for deeper complexions as well. Final thoughts: Love the packaging and the design of the powder. The formula is nice too but the shade range is too restricted with a strong focus on paler complexions. Undertones of #03 Natural Brunettes is very very warm, which manages to turn orange even on my natural to warm skin tone and I don't find it very natural because of that. Probably #02 would be a better match for me. Those are now available in Germany and I believe they are rolling out around the world. 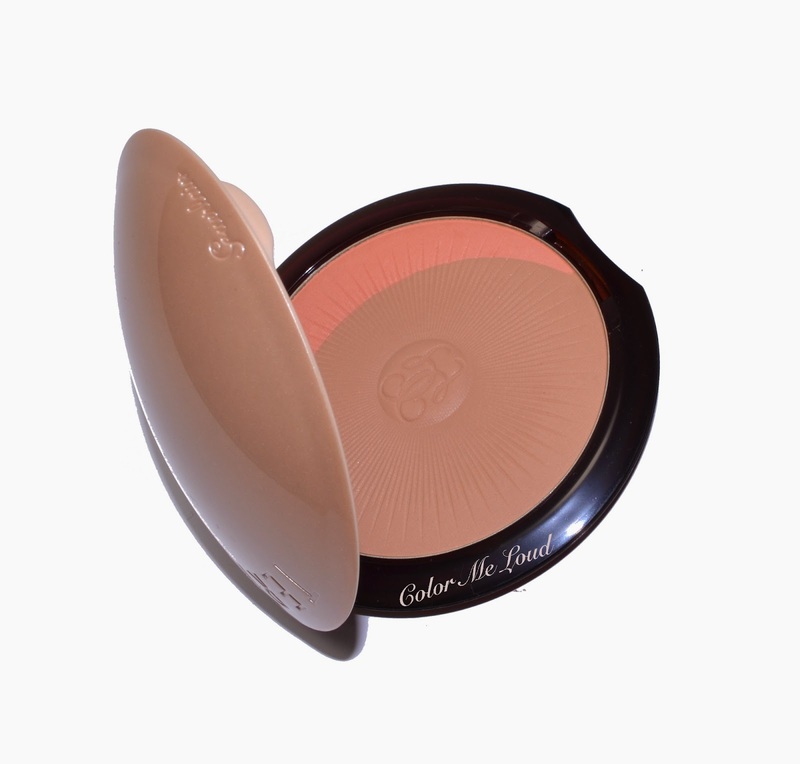 One powder compact sets you back 48€ for a generous 10 g of product. Have you checked them out? What are your thoughts? IT LOOKS LIKE A DELICIOUS COOKIE! Guerlain does make some beautiful looking products, don't you think? I almost rarely use a bronzer, so these bonne mine type powders is most likely a pass for me. But one day, maybe I will pick up one of the Terrocotta bronzers. They are very beautiful, too. Whoa I'm so sorry to hear this turns so orange on you! On me it sits quite nicely, but then again with my undertone, I seldom ever have problems with bronzers to be honest (unless they are too dark). I think this line targets the fairer girls as well. I wonder if they will maybe expand it in the future, since anyone past medium or fair-medium probably won't get much out of it! I am light skinned so could be a candidate for these, but they are not brightening enough for a blush and are too brown for my skin tone. 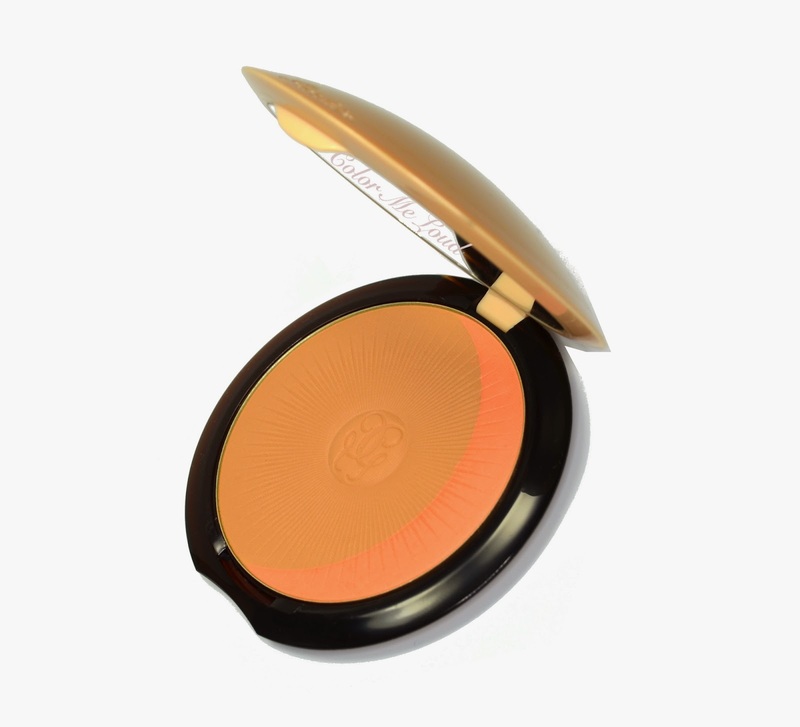 A light slightly tawny peach is what works on me to look sun-kissed. And contouring I don't need. But I love Coco on you. I got it too. After this winter, these oranges are so appealing. Sounds like you need a chiropractor! oh dear, this really did turn orange on you Sara!!! Such a pity really.... i loved last couple of years' Terracotta powders, but somehow this year's rendition just doesn't look interesting to me. Your backache sounds really painful! I hope you feel better soon, perhaps a hot water bath with some nice relaxing bath salts?? I don't owe any Guerlain bronzer, but I'm not interested in them at all. They are hyped and may be beautifully designed (especially the ones for summer looks) - but not for me. Hahaha, well said, it is exactly this, an orange blush! It is orange on me but in a refreshing blushy way lol. I really like the Terracottas from last year, they can be customized for winter and summer, which I found to be a great idea. I don't feel these years releases yet though, maybe more pretties come, who knows. LOL Linda, it is not orange in a bad way, like orange blushy orange but it was not meant to be like this so I believe it doesn't serve its purpose after all. That with the bath, it sounds so good, I have to do it regardless. thanks my back is already better. Today I got to sit all day and not so bad until now. You might want to check #02 which looks cooler. Packaging and the design is so beautiful, it certainly gets the attention. Is #03 really your match? Does it show up on you well? On me I had to go over it multiple times for it to show up. It is not meant to be an over all powder I guess, at least on the videos they show one should apply it in "3" motion on both sides of the face. Yes I agree past medium, it wouldn't to much. What a pretty glow! Yes, a bit orange, but not overly so. Definitely curious to check out the lighter shades! Yeah it shows up on me! Not in a "look ma, I'm wearing bronzer" type of way, but it enhances my winter skin tone in a natural way. this is quiet light actually on me, so lighter shades are super light, if you were searching for very light contouring, these might be interesting for you. These are too light for me anyway, but they irretrievably lost me at "orange". The horror LOL! Fortunately Les beiges no 40 and multicolour no 2 keep me happy in summer. As does plain old Nars Laguna, the only powder product on which I have ever hit pan. I don't know what they were thinking when they made it so orange. I don't know anyone who gets orange when they get a tan, even people with warmer undertones. I like Les Beiges #40 even more than #30 but invested in the wrong one. I believe #40 is a tad cooler than #30, which would have been better for me. Multi Color #2 is gorgeous!